Heather studied music at the Royal Northern College of Music. She completed her training with a Masters of Music at the Guildhall School of Music and Drama with the late Dame Thea King, winning the Countess of Munster Music Scholarship. She was a founding member of the London Clarinet Quartet, who were finalists in the Royal Overseas League Competition and worked with Live music Now for many years. She has recorded several albums for Margaret Rizza. Heather specialises in Klezmer and Jazz clarinet, playing regularly with the Midlands Express Quartet. She tours the country with Opera Della Luna on all single reed instruments and flute. This has led to work with other Gilbert and Sullivan companies. She also plays for various opera societies in the North and Midlands. Heather teaches at Repton School and Foremarke Hall School, Derbyshire. As part of this role she teaches clarinet, saxophone and recorders, coaching and conducting various ensembles. 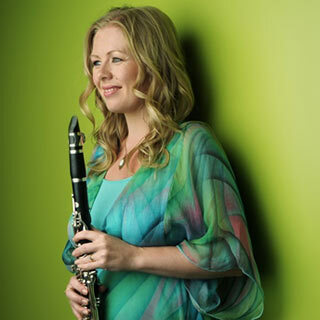 She is also a tutor of clarinet and recorders at the Junior department of the Royal Northern College of Music. Heather examines regularly at the senior college and is in demand for adjudicating at various festivals, school competitions and music societies in the Midlands.